Atlanta is a big, busy city, important economically as a center of commerce and business. Originally the terminal of a major state railway, it has grown rapidly into a fantastic city to visit or live in. Dr Martin Luther King was born in Atlanta, and the city is also famous for hosting the 1996 Olympics. There’s more to Atlanta than it’s history however. Atlanta is amazing by night, when the city lights up. It’s a perfect setting for a romantic evening. You can snuggle up and watch the sunset from the sky view Ferris wheel, or enjoy a medieval meal and tournament. Thrill seekers should try out indoor skydiving at night, or one of the many exciting escape rooms on offer that open til late. 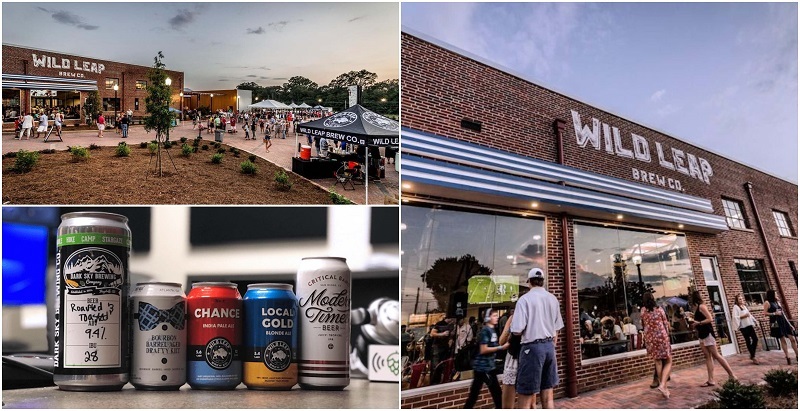 Here are 18 of the best things for couples to do in Atlanta at night. Snuggle up with your loved one as you take a private evening driving tour of Downtown Atlanta. This tour is fantastic if you are restricted by time, or just want to discover where the main attractions are from a comfy seat. 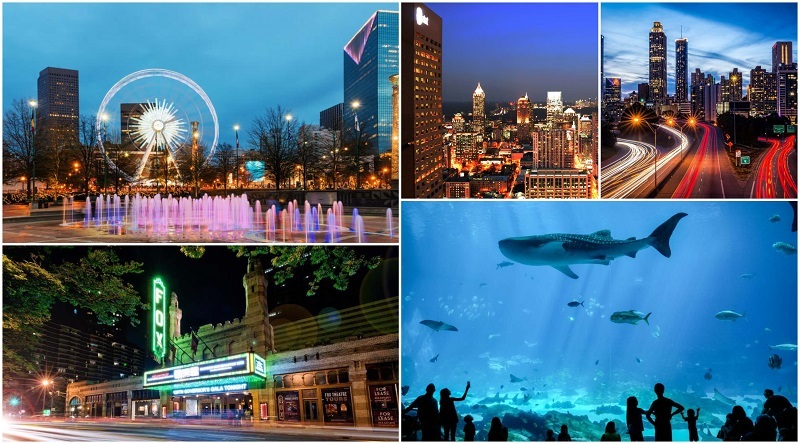 Your local guide will give you a comprehensive overview of Atlanta. 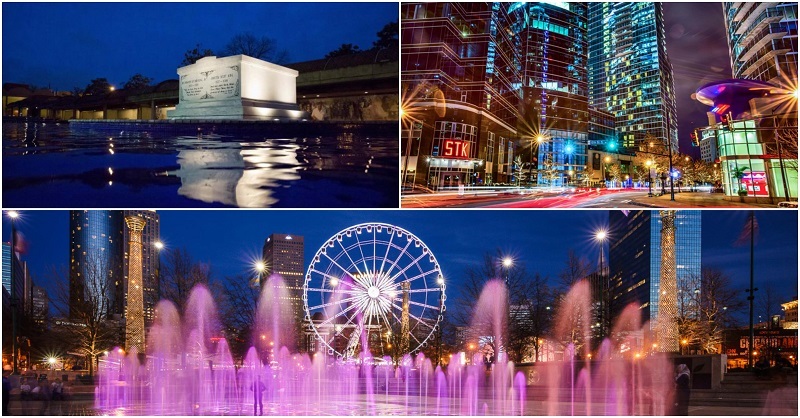 You will take in attractions including the Centennial Olympic park, Peachtree Street and Historic sites of Martin Luther King. This 3 hr long tour can be arranged at a time that suits you. Stone Mountain park is a fantastic place to spend a romantic evening together. Embrace the sunset with unforgettable views from the cablecar. Play in the spray or stay dry as you explore the geyser towers. Explore via a 1940s train or take the summit skyline to the top of Stone Mountain. Stone Mountain Park gates close midnight but most attractions finish at 5pm. Some attractions like Snow Mountain could open til 10pm on weekends depending on seasonality. Start your evening early with a tour of CNN television studios. The guided tour walks you through news rooms. Learn how the headlines are researched, brought to the public, and how broadcasts are created. You might spot a face or two you know as you see journalists at work, and maybe a news presenter. Beluga Whales, Sharks and Sea Otters are just a small sample of the abundant marine life that calls Georgia Aquarium home. 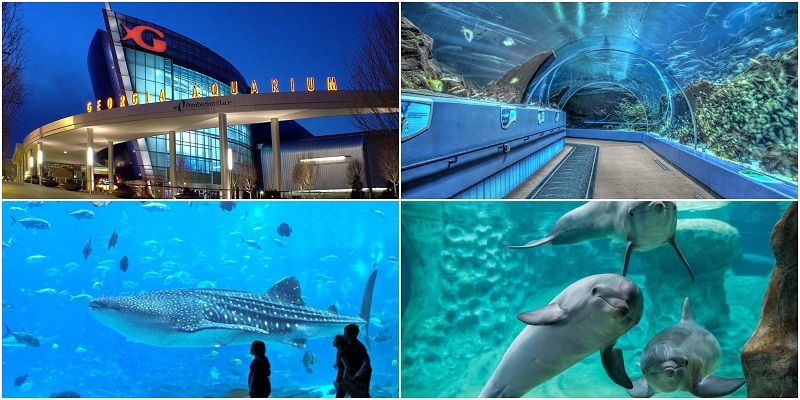 One of the biggest Aquariums in the world, a visit here is set to impress your partner on a date night. Learn about all types of marine life with your loved one, as you stroll amidst an underwater world. The Aquarium is open until 9pm, giving you plenty of time to explore. The ultimate intimate dining experience. Groups of no more than 10 enjoy both popular dishes and off the menu specials for a unique culinary experience. Make your own craft cocktail and enjoy three food and drink pairings for an evening of fine dining. 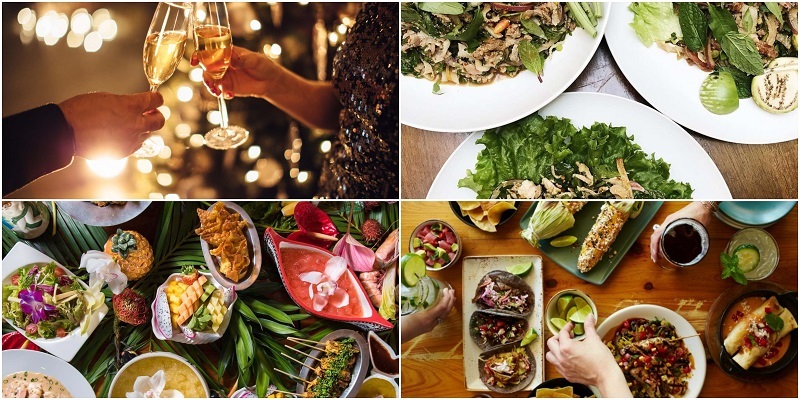 There is no better way to enjoy each other’s company than over delicious food and drink. Try different food haunts, both popular and hidden gems. Be ready early as the food tour starts at 5pm. 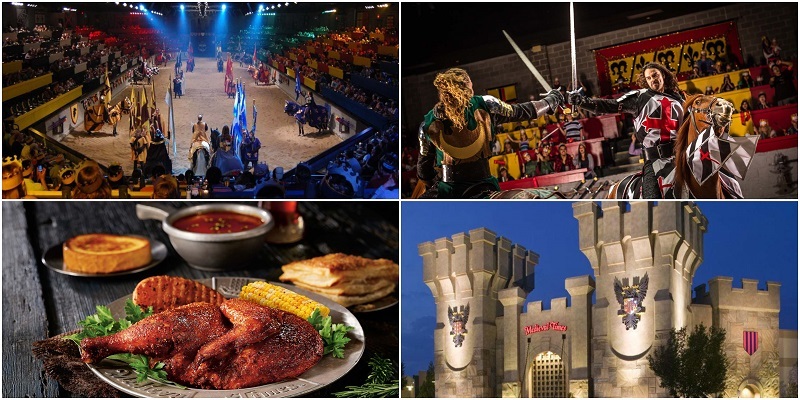 Step back to the 11th century for a medieval times dinner and tournament. A European style castle welcomes you with prestigious Spanish attractions including coats of arms and suits of armor. The ‘serfs’ and ‘wenches’ will serve you a traditional ‘hands on’ medieval meal. Meanwhile you and your partner can marvel at amazing sword fights, jousting and falconry. A novel way to spend an exciting historical evening with your loved one. Show times vary between 5pm and 7:30pm, and last for 2 hrs. The castle opens 2 hrs before the show starts. If spooks appeal to you then look no further than a haunted pub crawl of downtown Atlanta. Cuddle up safe to your partner as you hear tales of confederate soldiers haunting Oakland cemetery. The cemetery is the resting place of 70,000 souls so there’s bound to be plenty of hauntings! Especially as it’s located within Grant park, Atlanta’s oldest and largest historic district. The tours depart at 8:30 pm and last approximately 2.5 hours. Craft Beer, a brewery tour and your loved one are all you need for an interesting ‘date night’ together. Learn all about the history of the reputed Wild Leap Brew Co. In addition, discover the technical brewing process, including seeing the fermentation tanks and canning line. After the tour, hang out at the Tap Room and have a pint. Alternatively visit The Plaza at Wild Leap and bring out your competitive side as you challenge your partner to games such as giant jenga and connect four. If you haven’t experienced the thrill of being an escape artist and puzzling out your exit, now’s your chance. If you have already given it a go, then you know you will enjoy any of these awesome escape rooms on offer in Atlanta. Join forces with your partner as you work together. Escape room experiences include a bank heist, Sorcerers Secret, Lost in Time, and even an outdoor dig theme. All Escape rooms run regularly until approximately midnight. Interactive Scavenger Hunt games are great ways to explore an area while having plenty of fun. Use your smartphone to seek out items and monuments, including some of Atlanta’s biggest attractions. It’s a great way to spend an evening with your loved one as you puzzle out different locations together and explore Atlanta. As you only need your smart phone you can choose when you wish to embark on a Scavenger Hunt. If you’ve never heard of axe throwing then now’s your chance to educate yourself and partner. Embrace the unusual together as you embark on an evening adventure. A traditional Canadian pastime, you can experience it for yourselves with the aid of a trained tutor. Learn some tricks and try some tricky shots in preparation for your groups axe throwing competition. The hour long experience is available from 5-9pm Monday-Thursday and 6-11pm on Fridays and Saturdays. Embrace your fears and show your partner how brave you are as you discover indoor skydiving together. Under professional instruction, you will float in a wind tunnel and experience the thrills of a free fall. A great evening for an adventurous couple, will sure to take your breath away and leave the venue adrenaline pumping. You can try skydiving well into the evening, with the 75 minute experience starting every 30 mins until 11 pm. Piedmont park is a beautiful green area in midtown Atlanta, and a fantastic setting for watching the sunset in a peaceful environment. Take a stroll and snuggle up with your partner as dusk approaches. Alternatively, hop on a Segway for a brilliant way to explore the whole Park and its surroundings. 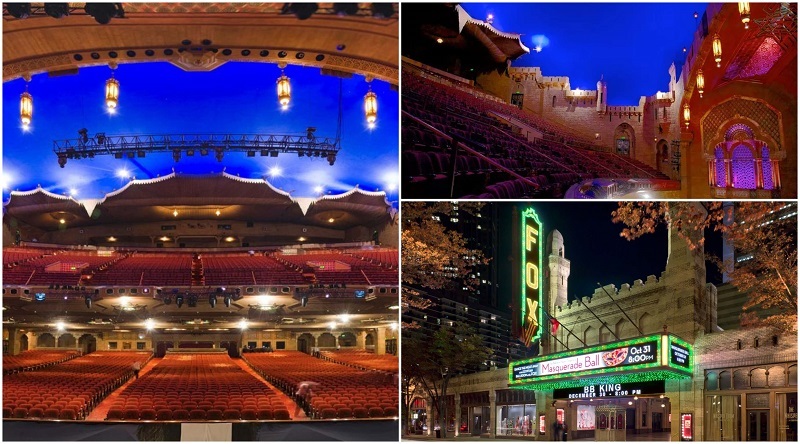 Highlights include the stately homes of Ansley park and the ornate Moorish Fox Theater. Your guide will have no shortage of tales to tell. The park is open until 11pm everyday. Enjoy some Animal magic at Atlanta Zoo. 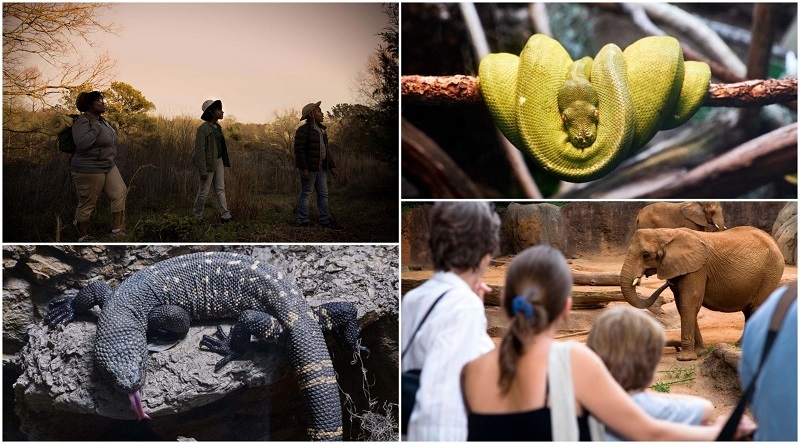 Home to over 1000 animals, you can marvel at amazing creatures such as Orangutans, Lemurs, Leopards and Komodo Dragons. If you time it right you could join a twilight tour and see what the animals get up to after hours. A great way to avoid the crowds and enjoy the zoo in a more intimate way. Last admission is at 4:30 pm, with the Zoo closing at 5:30pm. Check their programs page for dates for the Twilight Trek, which runs from 6:30 pm – 9 pm. Fourth Ward Park is located in the historic neighborhood when the famous activist, Martin Luther King Jr, was born. 7 acres of natural beauty, including a stunning central lake and multiple lawned areas, perfect for picnics. Enjoy a romantic evening picnic with your loved one and escape Atlanta’s bustle for a night. Afterwards, go on a sightseeing tour in the park and surrounding areas. 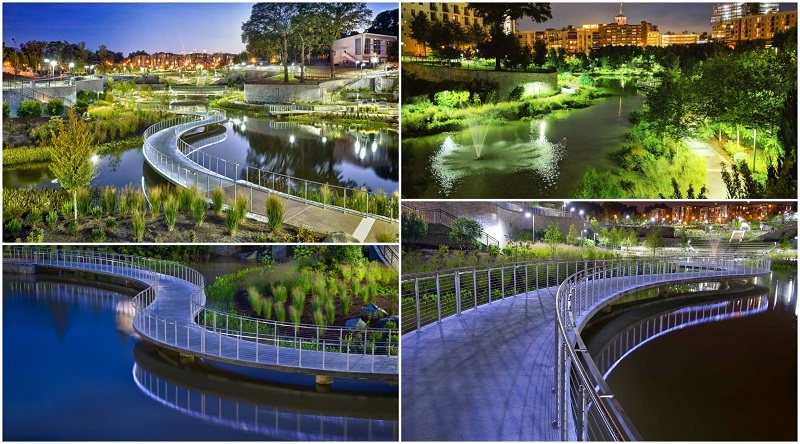 The Fourth Ward Park is open until 11pm every day. The unusual mosque-style theater is one of the premier spots for evening entertainment. Originally built by Atlanta’s Shriners organisation, middle eastern architecture influenced its ornate design. The expense proved too much, and William Fox, a movie mogul, leased the auditorium. Today the Fox theater has plenty of shows and movies on for a fantastic evenings entertainment. Tours of this luxurious theater are also available. It’s the perfect place to spend an evening surrounded by luxury with your loved one. Tickets must be bought from the box office before 6pm in the week and 3pm on Saturdays. 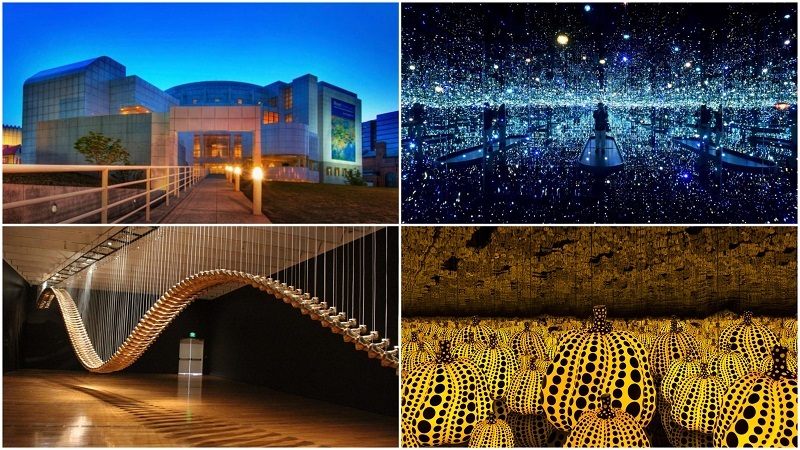 Housing 11,000 works of art including contemporary art, there is something for all art Enthusiasts. Exhibitions include art from Gerhard Richter, Italian paintings and sculptures from the 14th – 18th centuries, and photography collections from the 19th and 20th centuries. The building itself is an impressive feat of architecture, with the whole outside tiled in white porcelain. Inside four floors of galleries are strung together by semi circular ramps in a sunny atrium. The gallery closes at 5 pm, except on Thursdays when it is opened til 9 pm. It is closed all day on Mondays. Amazing panoramic views of downtown Atlanta is a fantastic start or end to any evening. Look no further than the SkyView Ferris wheel at Centennial park. Snuggle up with your loved one in one of the gondolas as you absorb amazing views of the city. A perfectly timed sunset ride will give you maximum romantic effect. Especially if you upgrade to a VIP pod which includes Ferrari style seats, glass floor, and a longer ride. Alternatively watch the lights of Atlanta shining brightly, as you spot the cities countless attractions from above. SkyView Atlanta is open until 11 PM daily and 12pm on Fridays and Saturdays. Atlanta is busy with commerce and business, yet it lacks for nothing in beauty and romantic activities. There’s plenty of modern day entertainment too, from the Fox Movie theater to a brewery tour, or even the zoo. If you plan it well, you could easily enjoy 2 of the 18 amazing attractions listed above. Several are close to each other such as a tour of Centennial Park and the SkyView Ferris wheel. Make the most of your visit and enjoy a fun filled romantic evening to remember with your other half.